More frequent eye infections. Your tears protect the surface of your eye from infection. Without adequate tears, you may have an increased risk. Scarring on the surface of your eye, in some cases requiring cornea transplant. Having dry eyes for a while can lead to tiny abrasions the surface of the eyes. In advanced cases, it can lead to loss of goblet cells. Some severe cases result in thickening of the corneal surface, corneal erosion, epithelial defects, corneal ulcerations (sterile and infected), corneal neovascularization, corneal scarring, corneal thinning, and even corneal perforation. 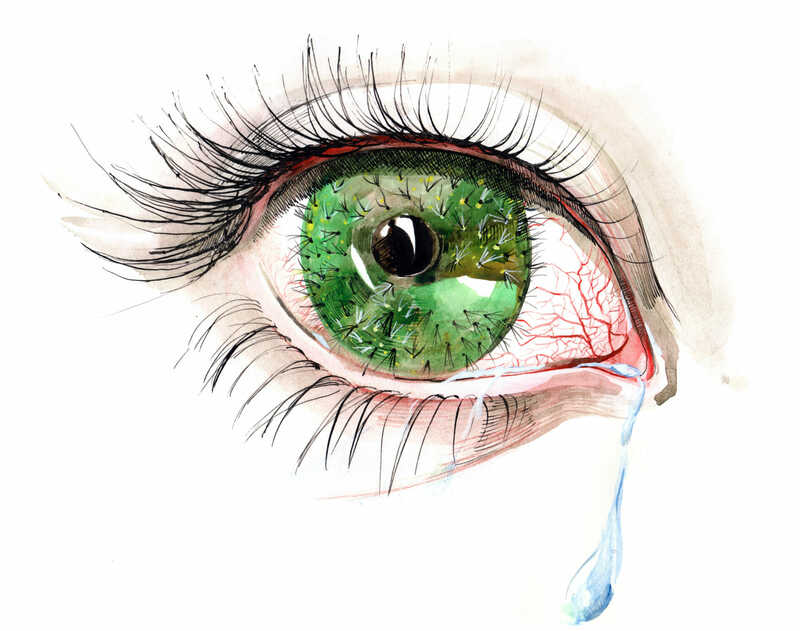 Dry eye syndrome usually is a chronic problem, especially if it is related to blepharitis or meibomian gland dysfunction. The prognosis for dry eyes shows considerable variance, depending upon the severity of the condition. Most people have mild-to-moderate cases and can be treated symptomatically with lubricants or oral capsules like TheraLife® Eye. This course of treatment provides a sustainable relief of symptoms and prevents future damages such as cornea aberrations, which could require cornea transplantation. When dry eyes symptoms are severe, they can interfere with quality of life and cause depression. People sometimes feel their vision blurs with use, or they experience severe irritation to the point that they have trouble keeping their eyes open and may not be able to work or drive. Because of the debilitating impact they can have on daily functioning, dry eyes are now recognized as a common cause of depression.